Minnesota-born and -raised author Deina Furth discovered at a young age that she had a talent for writing. From writing silly plays to perform for her (very patient!) parents, to writing, drawing, and publishing an online manga series in the dawn of internet comics, she’s tried her hand at just about every kind of project that includes the written word. Deina infuses her love for science fiction and fantasy novels, films, comics, and video games into every one of her stories. 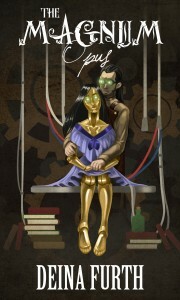 In her debut novelette The Magnum Opus, a lonely, alcoholic engineer desperate for human companionship creates a life-like doll, one who he thinks could love him forever. 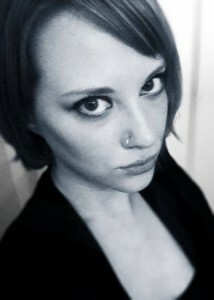 But this “doll” begins developing her own desires, leaving him feeling angry and alone once more. Despite his attempts to connect with her, she distances herself–and ultimately, discovers a secret of his that could destroy them both. In her second publication, Dysmorphia, Deina tells ten stories, each relating to a different interpretation of the word “dysmorphia.” She tackles tough contemporary issues such as mental illness, gender identity, and more. Each character’s problems are unique and told in their own voice. Love steampunk? Don’t miss The Magnum Opus. Creating the perfect companion is Rastigan’s dream–perhaps even his obsession. For years, he has tinkered and planned, pouring his heart into his work as intensely as he poured scotch into his glass. But every machine that he built fell short of his expectations. His work completely consumed his thoughts and time, leaving him a homebound hermit with nary a connection to the outside world. As the years pressed on, Rastigan seemed doomed to live out remainder of his life as a solitary eccentric who found companionship only with his favorite brand of booze. Until she begins to develop her own desires, that is–desires that leave Rastigan out of the picture, frustrated and unconnected yet again. In a desperate attempt to distract her, Rastigan gives Evangeline even more pretty gifts and lavish displays of affection. He isn’t ready to give up on his dream of companionship just yet. Do you crave slice-of-life stories? Dysmorphia is the perfect quick read. 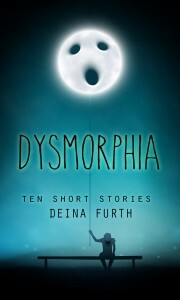 In this collection of ten short stories, author Deina Furth examines the many potential manifestations of the word “dysmorphia.” Whether it’s through the eyes of a young man struggling with depression and anxiety, a trans man trying to find the means to transition, or a desperate woman struggling to accept her body, Deina strives to represent the “smoke and mirror” reality that millions of people face across the world daily. Each story is a slice-of-life narrative that explores the feelings of disconnectedness that accompany mental illness and desperation alike, and the result is an emotionally-wrought tale that will stay with the reader for a long time. Crawl into the minds of these ten characters and experience the many faces of dysmorphia in all of their frightening, heartbreaking, and loving forms. A must read for those who seek contemporary fiction tackling the tough topics of mental illness, transgender issues and rights, gay and lesbian issues and rights, body image disorders, sexuality, and self-harm and suicide. 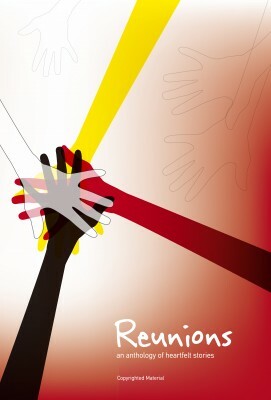 Warning: Stories contain sometimes graphic descriptions of violence and discuss sensitive issues. Please be advised that the stories may not be suitable for a young audience. Want more? Subscribe and all new posts will be delivered straight to your inbox.